Shanghai saw a lot of excitement this past weekend with fast cars on the track and the grand opening ceremony of the much-awaited Mercedes me on the bund. 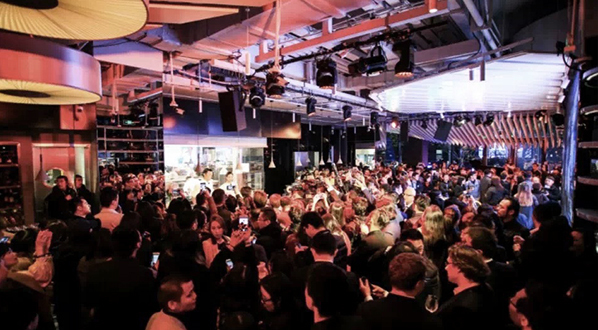 Coinciding with the Formula One Chinese Grand Prix, the opening was attended by the who’s who of Shanghai’s business, finance, and entertainment circles, along with Mercedes’ own F1 team. Five-time champion Lewis Hamilton was visibly wowed; global brand ambassador and Grand Slam winner Li Na also made an appearance. Located on a quintessential landmark and an important public space in the heart of the city, the Shanghai Mercedes me is the seventh Mercedes me in the world, and the second on the Chinese mainland. The Mme allows visitors to explore the brand, or simply kick back and relax. The Shanghai Mme is the second Mercedes me designed by anySCALE. The event started off with a derivative art performance by interactive media artist Guo Ruiwen. Titled the ‘meBox’, the surrealist experience enthralled the audience through its visual flow and surprises. Linkin Park member Mike Shinoda handed over the latest batch of paintings for the Mme to Nicholas Speeks, President and CEO of Mercedes-Benz China. The open kitchen and 50s’ Shanghai-style bar, boasting an impressive collection of reds and whites, set the party in swing. Redefining the paradigms of luxury, the creative, energetic and clean design complements Mercedes’ brand identity and automotive history. Designed keeping in mind the worldly-wise and chic residents of Shanghai, the Mme is effortlessly elegant and fresh while offering a new brand space experience that truly integrates itself with customers’ lifestyles. Where the Beijing Mme boldly presents the Mercedes me concept to the Chinese market, the Shanghai Mme develops it further. A true feast for all senses, the Mme houses a modern eatery on the first floor and an upscale Chinese restaurant on the second. The first-floor eatery features creative western dishes made using select ingredients and refined cooking techniques, bringing nature and the four seasons to guests’ palates. The upscale Sichuan Sanchuan on the second floor combines delectable Southwest Chinese cuisine with Shanghainese, as well as a signature Peking Duck.